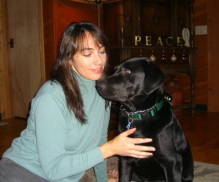 Davina began working at Alpine Animal Hospital in July of 2000. As an assistant Davina has many tasks that keep the hospital running smoothly. She cares for our patients and assists the doctors with appointments, treatments, and surgeries. 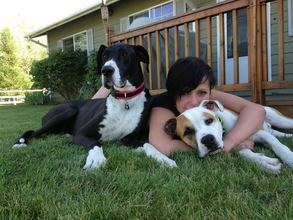 She has volunteered in the animal rescue industry for many organizations in Oregon, Washington, and Montana. Davina lives at home with her husband Gregg, their dog and cat. She likes spending time with her family, traveling, reading, going to the movies, vegan cooking, spending time outdoors, snowmobiling, and cross country skiing. Diane has been at Alpine Animal Hospital since April 2002. She works primarily as a receptionist. Before coming to Alpine, she worked in the medical field, and is a certifited medical assistant and continues to stay active with that. She lives at home with husband, Darrell and has two grown children, Charlene and Josh. She is the proud grandma of twin grandsons and babysits them three days a week. Also at home are a horse and two dogs. In her spare time she like to spend time with family, work with ceramics, scrapbook, take lots of pictures, work in the yard and garden, spend time outdoors with the horses, camp, go 4-wheeling, read, and knit. Maraika grew up in Whitefish and recieved a Bachelors degree from the University of Montana. Upon graduation, she and her husband, Greg, moved to Hawaii were she taught mathematics for 5 years before returning to Whitefish to raise their two children, Bailey and Hayden. She has since worked in several different fields, including working at Alpine Animal Hospital since 2004. Maraika enjoys riding her 4 horses, hiking and running with her dogs, biking, skiing, knitting and painting. She is happiest when she is playing in the great outdoors with family and friends. Britani, was born in Whitefish and raised in the Flathead. She lives with her husband Nate, Milo the cat, an energetic Boston Terrier named Chevy, and Quila the American Bulldog on the family vineyard. In her free time Britani enjoys spending time outdoors with her husband. Their favorite activities are snowboarding, boating, wakeboarding, hiking, camping and four-wheeling. Megan joined the Alpine Animal Hospital team in September 2017. A lifelong Montana girl, Megan grew up in Bozeman and the Flathead Valley. She is a graduate of Oregon State University where she received a degree in Animal Science with an Equine concentration. Upon graduation, she returned home to the Flathead for several years and then left to pursue a career in Barn Management in both Oregon and California. A third generation horsewoman, riding and horse care are one of the true passions in her life. In her free time, Megan enjoys cooking, baking, her dog Chase, reading, kayaking, hiking and horseback riding. Back home once again, she is excited to join the AAH team and expand her knowledge of veterinary medicine. Amanda Joined AAH in 2015. She helps assist our clients with appointment scheduling, patient receiving and check out. You might also see her helping with patient care, including check-in, surgery and discharge. Amanda and her husband Monroe live with two wonderful dogs named Johnny and Gemma. She loves spending time with family and enjoying the great outdoors. Jazmine grew up in Washington for the most part and has lived in Montana for 4 + years. Her free time is spent walking through the woods, camping, being a book worm and painting. She has an 11 year old American pitbull , named Balou, who is her partner in crime. They take lots of road trips and adventures. Traveling has been a big part of her life and Balou loves it as much as she does. As well as exploring Jazmine have always loved to care for animals. As a kid she would create habitats for all kinds of small critters in my room ( mostly in my dresser) to my parents dismay. I'm happy to call Montana another home and to lend all the help I can to our fuzzy friends!